Image: Simulation of shock-induced void collapse. Top: the shock wave begins to compress the void. Bottom: the void has collapsed and the resulting nanojet has deformed the membrane and the ion channel protein. The increasing spread of bacterial strains that are resistant to current antibiotic drugs is a serious problem. Structure-based drug design using high-performance computing has helped create the first new class of antibiotics in 30 years. High-performance computing was used to explore structure-based inhibitor design against multiple members of the target protein family. This helped to focus development efforts and to minimize costly wet-lab expenditures, such as drug synthesis. More info. The Biochemical and Biophysical Systems Group’s scientists use cutting-edge, multi-scale, in silico simulations to tackle problems in biology. We use a wide range of computational biology methods that employ LLNL’s high-performance computing resources to simulate systems from sub-atomic scale to population level. These methods include atomistic and coarse-grained molecular dynamics, quantum simulations, constraint-based genome-scale simulations, reaction-transport dynamic simulations, and agent-based, whole-organ, and pharmacokinetics/pharmacodynamics models. We develop new computational methods to describe and predict biological systems. In addition, we combine experimental efforts with physics-based simulations and statistical and machine-learning models to accelerate the design and development of safe and effective therapeutics. Overall, we seek predictive understanding of protein-mediated processes related to critical missions of LLNL, including bioenergy, medical countermeasures, and new materials. Journal of Chemical Theory and Computation (2018) 14, (11) 6050-6062. Biochemical Pharmacology (2018) 155, 61-70. Cardiovascular Engineering and Technology (2018) 9, Online First. Biophysics Journal (2017) 113 (10), 2271-2280. Chemico-Biological Interactions (2017) 277, 159-167. 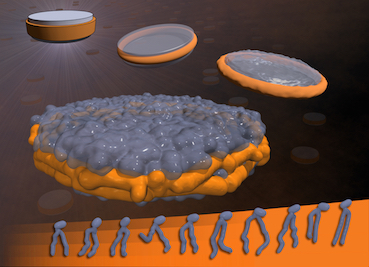 Lab on a Chip (2017) 17, 1732-1739. J. Phys. Chem. B (2017) 121 (20), 5228-5237. Microb. Cell Fact. (2017) 16 (71). Current Topics in Medicinal Chemistry (2017) 17, 1-9. J. Phys. Chem. Lett. (2016) 7(17): p. 3446-3451. Current Medicinal Chemistry (2016) 23, 1041-1061. PLoS Comput. Biol. (2016) 12(4): e1004831. Journal of Physical Chemistry B (2016) 120(9), 2423-2433. CPT: Pharmacometrics & Systems Pharmacology (2016) 5 (2), 74-81. 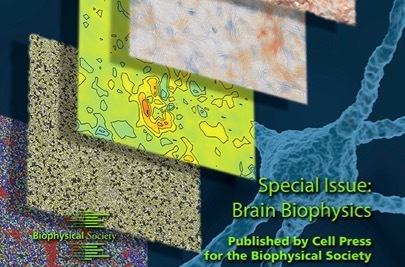 Biophysical Journal (2016) 110(1), 147–156. Dalton Transactions (2016) 45, 324-333.